When you're planning your vacation, hotels are one of your biggest expenses, but don't get tunnel vision about daily rates: Add it all up to be sure your choice costs less all around. Know what you're paying for. The hotel rate that comes up to the top of the list when you sort from lowest to highest price may come with a hefty daily parking fee, internet charges, and other fees while another place with a slightly higher daily rate may provide free breakfast, free internet, and free parking. And on the other end of the price spectrum, eye-popping savings on a swanky hotel may include a lot of extras you won't use and come with parking fees that rival the room rate. Where you stay may also influence how much you spend on food, with more inexpensive restaurants located around Hotel Circle and downtown than in other areas. Visit off-season: Hotel rooms are cheaper in January, February, March, October, and November. You'll also find more package deals when things are slower. Think small: San Diego hotel tax is 2% lower for properties with less than 70 rooms. ​Use the San Diego hotel guide to find the best hotels and learn how to get them for the best possible rates. The simple guide to finding the best San Diego hotel rates can help you get a nice hotel for the price of a "cheap" one. You may also save money on your lodging by using Airbnb, especially if you stay in neighborhoods east of downtown like Kensington, Normal Heights, or North Park. Like many cities, San Diego is considering imposing limits on short-term rentals which may drive inventory down and prices up, but as of early 2018, they have not taken any concrete actions. Free Stuff: Try some of the activities on this list of fun things to do in San Diego for free. Cheap Tix: You'll find tips for saving money on tickets on these pages: Sea World tickets and San Diego Zoo tickets. Balboa Park Pass: If you plan to visit the Balboa Park museums, you can get a pass that includes admission to many of them during a one week period. The Balboa Explorer Pass is available online, at the park Visitor Information Center or any of the participating museums. Multi-Attraction Passes: Whether a pass will save you money depends on what you plan to do. To see them all, use the guide to using discount cards in San Diego. 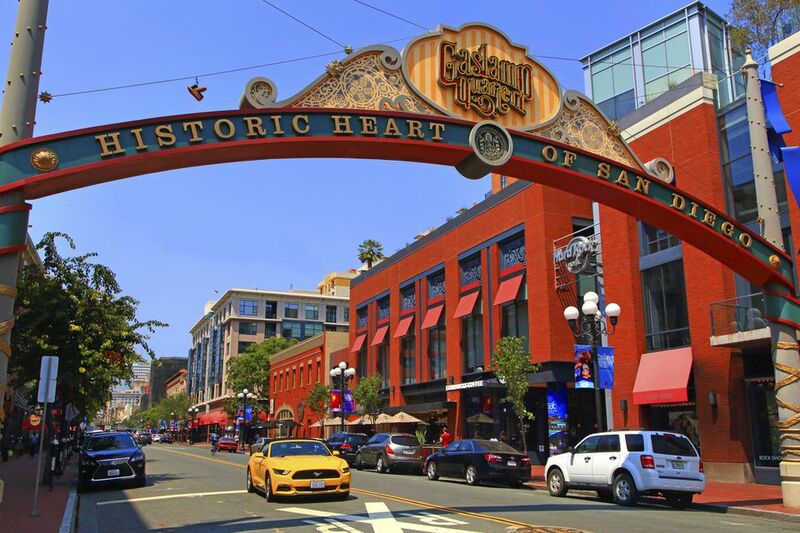 Great Discounts in San Diego - and at Home: For deep discounts on bay cruises, guided tours and lots of entertainment and performances, see how to use Goldstar to save money in San Diego. DIY Discount Coupons: Go to the San Diego Visitors Bureau website before you go and check for discounted events and promo codes for activities. Last Resort: Pick up the guides available in hotel lobbies. Their coupons can save you at least a few dollars at each stop. ​Read the guide to getting around San Diego to see how much of it you can cover without having a car, then rent for just a few days to see the sights you can't get to any other way. You may save money on rental, gas, and parking and avoid traffic hassles, too. Find a hotel whose room price includes breakfast. San Diego has lots of good medium- to low-priced restaurants. Use them to offset the cost of a splurge for a more expensive meal. You'll find less expensive restaurants in the Hillcrest area, around 6th and University. If you want to try an expensive restaurant, go for lunch. You get the same excellent food at a lower price. If you're going to San Diego by airplane, you know the admonition to shop around for airfare is trite - but true, but it's not as simple as it sounds. What you may not know is that Southwest Airlines and Jet Blue don't participate in any of the fare-comparison sites. Check their prices separately by going directly to their websites, where you will often find the lowest prices for travel to California destinations. To make Southwest even more attractive, your first checked bag flies free and in case your plans change, they don't charge change fees (although the base fare may go up). You may have read that Google Flights promises to find the lowest fares, and they’ll even tell you when to buy to get the best deal. Here’s the dirty little secret: they don't check Southwest Airlines. They may show you the lowest fare they can find, but they sometimes include stops that make your trip take much longer.